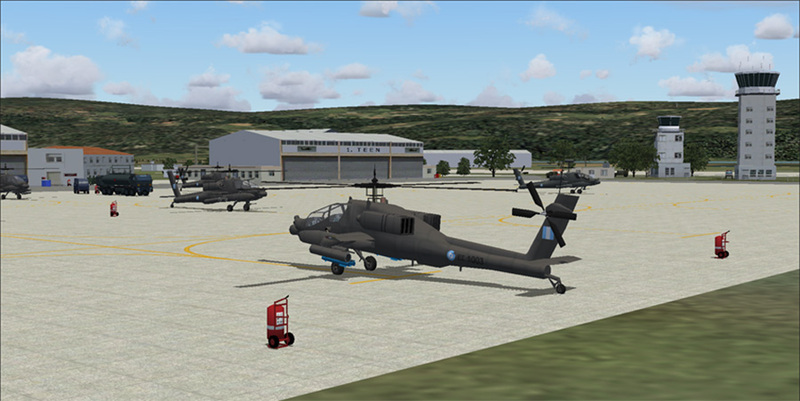 This freeware AI package by Gary Barker and Military AI Works contains everything needed to activate the Hellenic army helicopters (AH64 & CH47) based at Megara and Stefanoviklio in FS004. 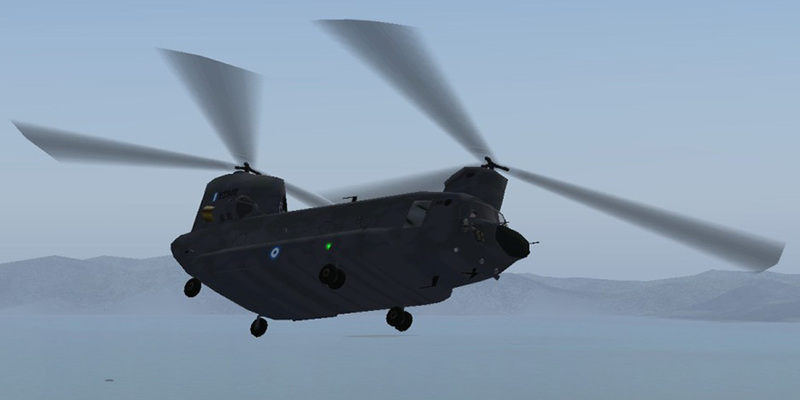 Also included are the Army C-12’s. 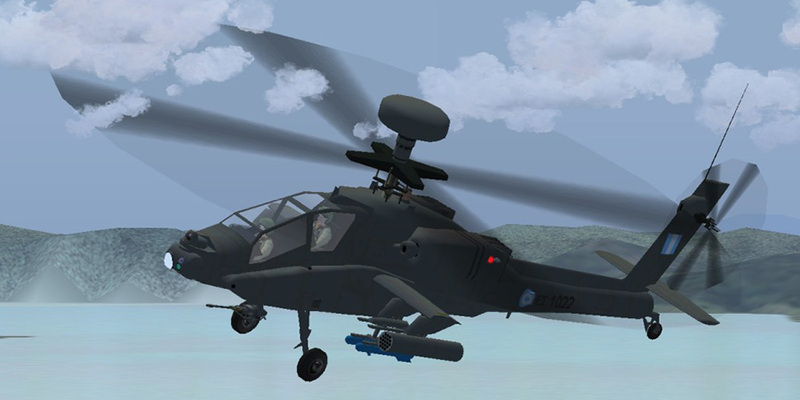 This package contains repaints, custom scenery, AFCADs, flight plans and custom call signs for each depicted unit.